As a young woman who has been dreaming of her wedding day for what feels like a million years, the time has finally come for all my bridal dreams to become reality. Sounds great, right? I’m planning a wedding, and it’s going to be exactly as I imagined it to be. Wrong. Weddings are expensive! I’m talking mortgage-and-yearly-salary expensive. 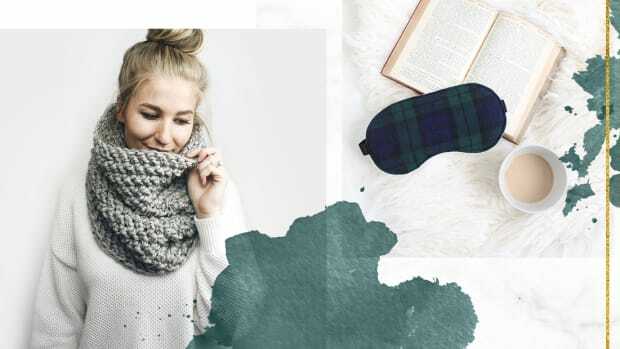 It’s hard to keep the focus on what’s truly important (you know, my handsome fiancé who doesn’t care if I wear a sack on our wedding day as long as I’m happy) when your budget seems to shrink by the second. 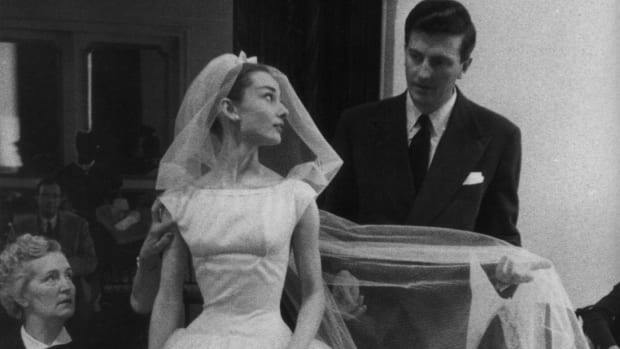 So what’s a fashionable bride to do? Finding a dress that reflects my personal style, body type, and budget has proven to be one of the hardest things about wedding planning, but it doesn’t have to be for you. Here are a few things I’ve learned along the way. 01. YOU DON’T HAVE TO WEAR A DRESS. Try separates! 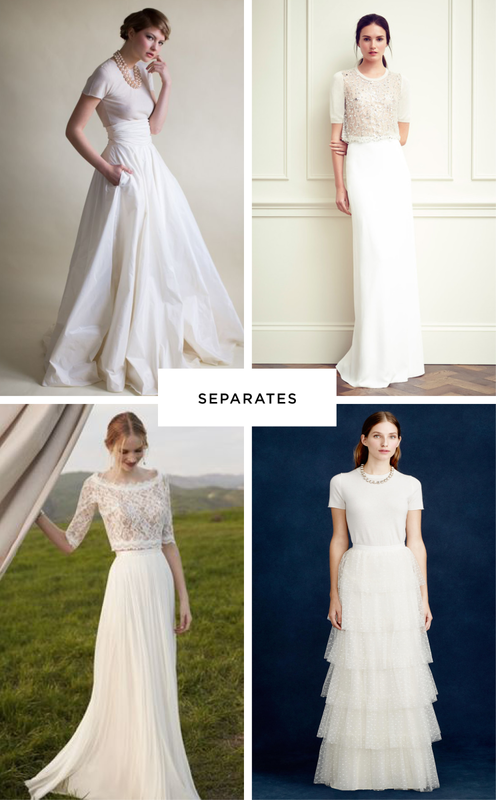 Wedding separates are extremely versatile and much more affordable, and you can wear them again. 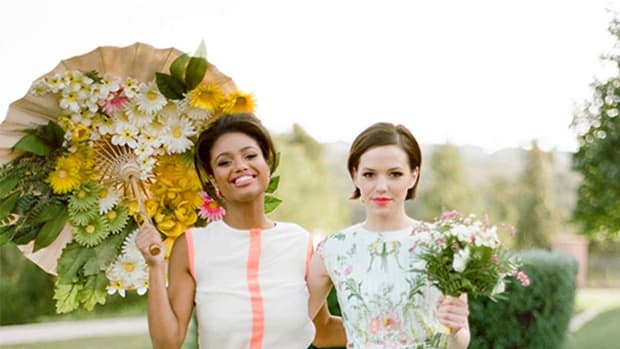 Bridal separates are also one of the biggest trends for brides in 2015. Jazzing up a simple sheath with jewelry, a headpiece, and amazing shoes can totally change the look of a dress to make it more you. 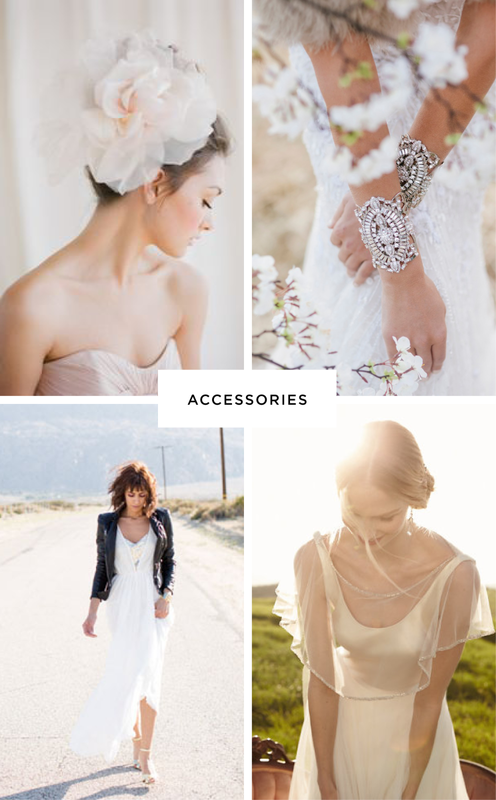 Not into accessories but want to change up your gown for the ceremony? 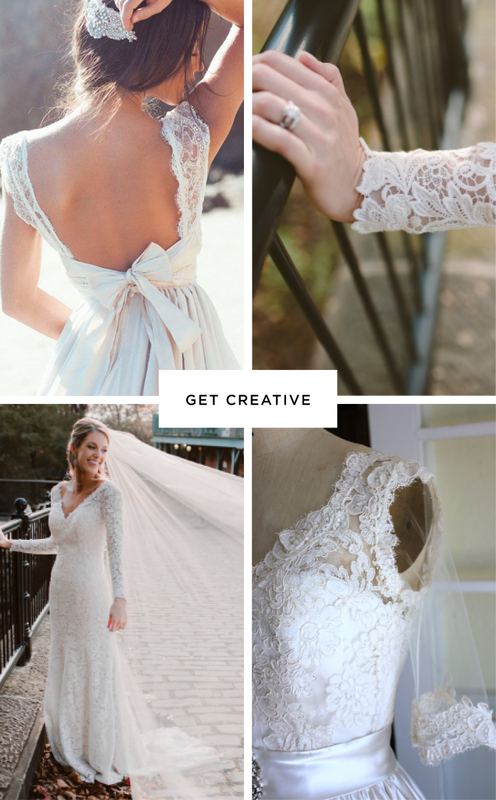 Add a cover-up or sleeved lace topper for a more conservative look in the church, and then take it off for the reception. Want to really make a statement? Add a leather jacket. 03. READY-TO-WEAR CAN BE YOUR FRIEND. 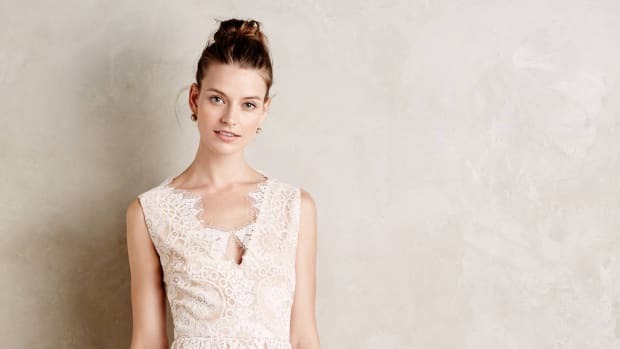 Just because the store doesn’t claim to be a bridal shop doesn’t mean you can’t find something fabulous to wear for your wedding day. 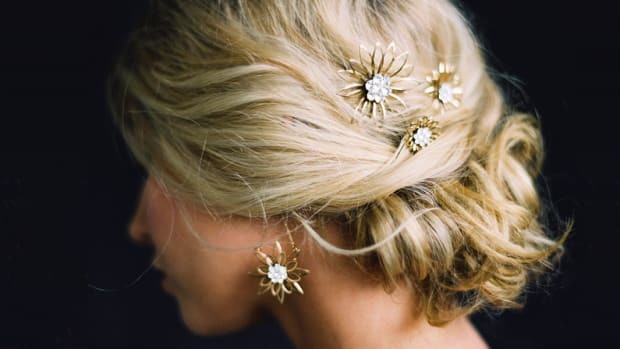 Don’t be afraid to wear something that looks great just because it didn’t come from a top bridal salon. 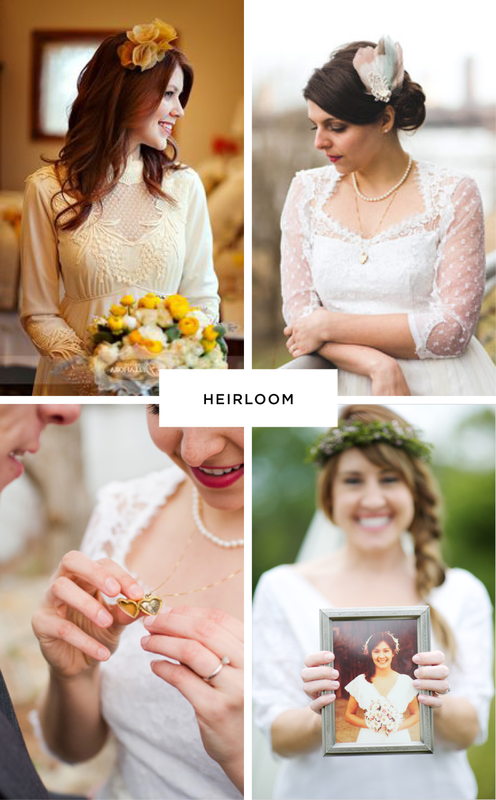 If you have the opportunity to wear or redesign your mother or grandmother’s wedding gown, please consider it. There’s something so special about donning a vintage gown with so many memories. 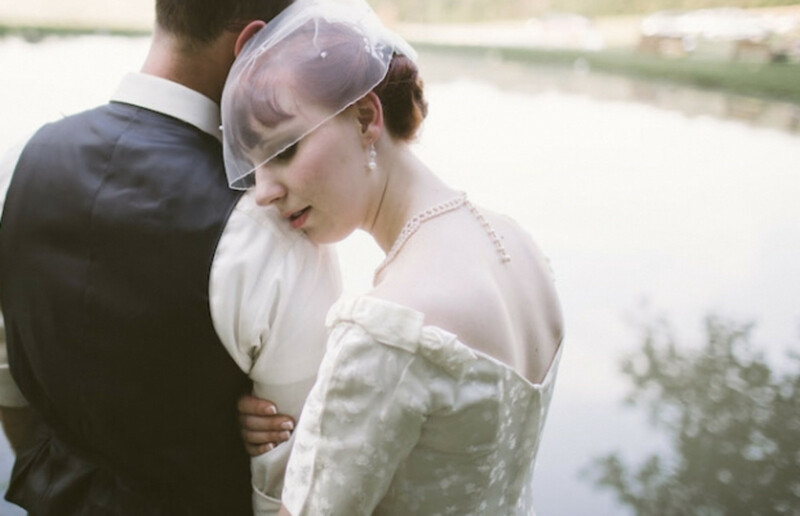 You can get rid of those eighties-style sleeves by using the fabric for your veil! 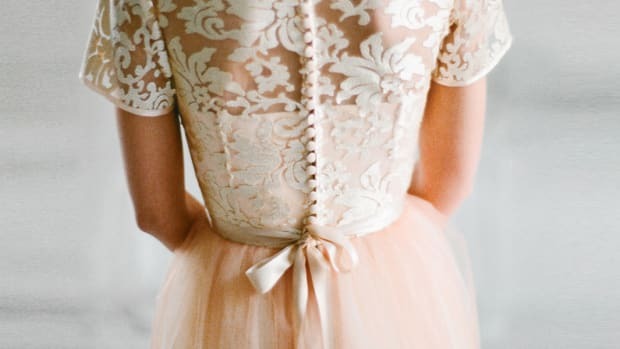 Dress up your dress with some subtle DYI details, or maybe leave it to the professionals. 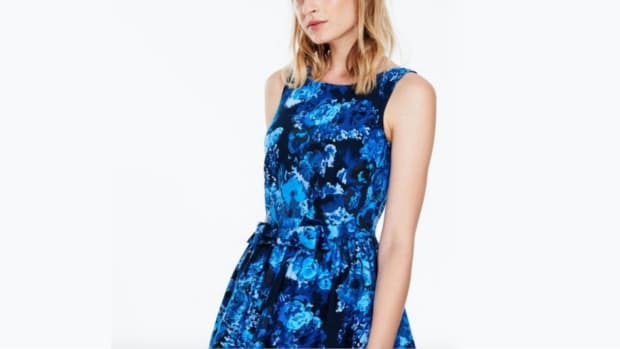 If you find a dress that fits your body and is in your price range, but you aren’t crazy about it (yet! ), think about how to make it work for you. I love how Verily Style Editor Janet took matters into her own hands by adding sleeves and removing beading from an otherwise simple gown. She created a stunning dress that was unique and all her.